We all know that executives and leaders don’t sleep much. They burn the midnight oil, get up early, and by the time we mere mortals are staggering to the coffee pot are far ahead of us. Right? In our assessment of 35,000 leaders and interviews with 250 more, we found that the more senior a person’s role is, the more sleep they get. There are two possible explanations for this. 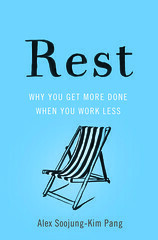 Either senior executives, with the help of assistants and hard-working middle managers, do less and take more time for sleep. Or senior executives have had the wisdom and discipline throughout their career to get enough sleep and thereby maintain a high performance level without burning out. Our conclusion is that the latter is the case. In contrast, our data found that 68% of nonexecutive leaders get five to seven hours of sleep per night. When there are not enough hours in the day, they steal some from the night. Many leaders stay up late to catch up on email or other tasks. According to our research, this tendency is widespread, regardless of gender. For leaders, sleep is not a luxury. Research has found that there is a direct link between getting enough sleep and leading effectively and that sleep-deprived leaders are less inspiring. It used to be a badge of honor to brag about sleeping few hours, but our research should serve as inspiration for aspiring leaders to make sleep sacrosanct. The key message: If you want to be an effective leader, and rise in the ranks, get enough sleep. When I was writing REST, I was impressed by how many world leaders turned out to either get a serious night’s sleep, or supplemented their sleep with a nap during the day (this was something Anders Ericsson observed among world-class violin students). It’s good to see some research that pushes back against the cult of sleep deprivation.